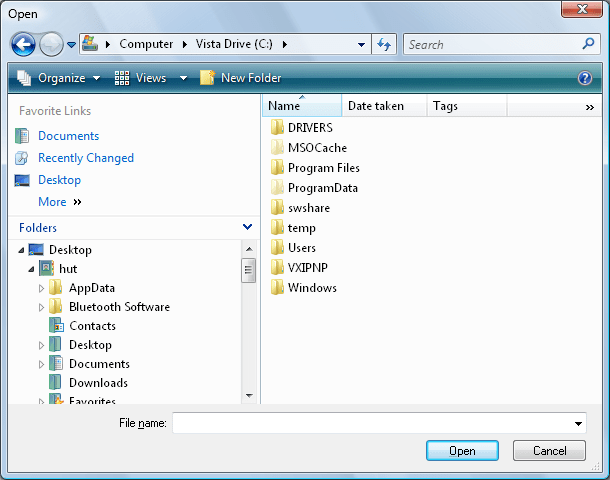 Windows Vista contains new Win32-Dialogs to save and open a file. There are also the old dialogs from XP available. Windows Presentation Foundation has two wrapper-classes for Win32-Dialogs. The Microsoft.Win32-Namespace contains a SaveFileDialog- and an OpenFileDialog-class. The classes are located in the PresentationFramework-Assembly, one of the central assemblies of WPF. When you use the classes from Microsoft.Win32-Namespace, you get the old dialogs from XP. In the snippet below the OpenFileDialog is opened. Windows Forms also wraps the two Dialogs SaveFileDialog and OpenFileDialog with classes in the namespace System.Windows.Forms. Add a reference to the assembly System.Windows.Forms.dll to your WPF-Project, and you can use these wrapper-classes. 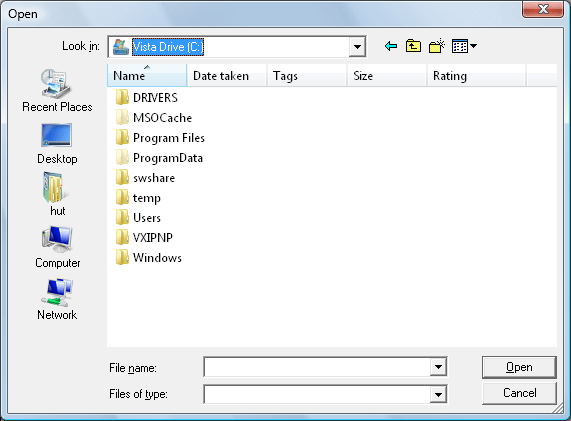 The interesting part is that they show per default the new Vista Dialog. On XP, the AutoUpgradeEnabled-property doesn’t have any effect, of course, there’s only the old dialog available. Fazit: The cool thing about Microsoft.Win32 is that you can add a using-directive to your WPF-Project and use the classes inside that namespace without a full qualified name. Adding a using-directive for System.Windows.Forms isn’t a good thing in a WPF-Project. There are many double-matches in System.Windows.Forms and e.g. WPF’s System.Windows.Controls-Namespace, like e.g. the Button-class. So the compiler needs full qualified names. But if you wan’t to use the new Dialogs, you have to use the Wrappers from Windows Forms, but don’t add a using-directive for System.Windows.Forms, use full qualified names instead. Hey Thomas, what’s coming up next? BASTA! Sessions about LoB with UWP and Source Control with Git!